This was the first night out with my Nikon D90 – and its remarkable 18-200mm lens – in December 2010. I wanted to get a feel for how it would handle at night time, as I was planning to capture the total lunar eclipse coming along in a few days. Almost a full moon, snow-covered ground and clear skies. For a newcomer to digital SLR, the functionality of the D90 just blew me away. Even by moonlight, the D90’s autofocus worked like lightning. 18mm f/22, ISO 1600, 30 sec. A quick capture of Orion rising behind Kendal Castle. 18mm, 30 seconds exposure and the star trails are just noticeable when viewed at full size (much more on that to come later). 60mm f/4.8, ISO 1600, 1/6 sec. 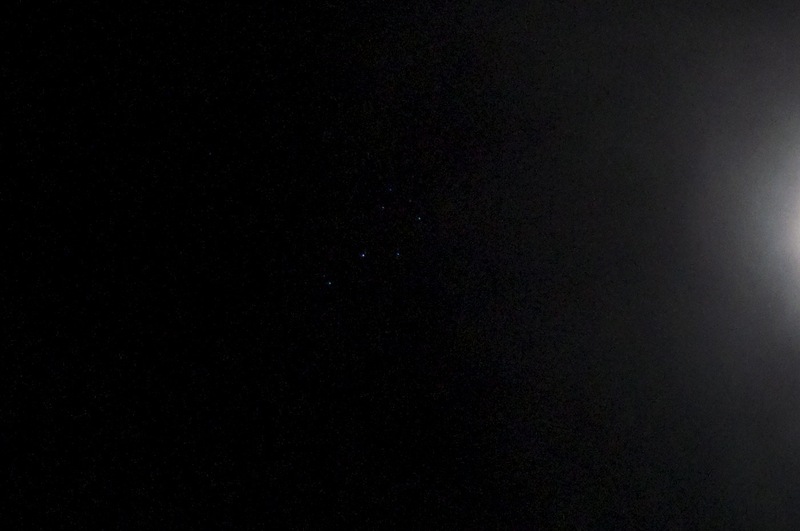 An audacious shot direct into the Moon, cropped to show the Pleiades. Not quite astrophotography, but the possibilities are starting to show themselves. 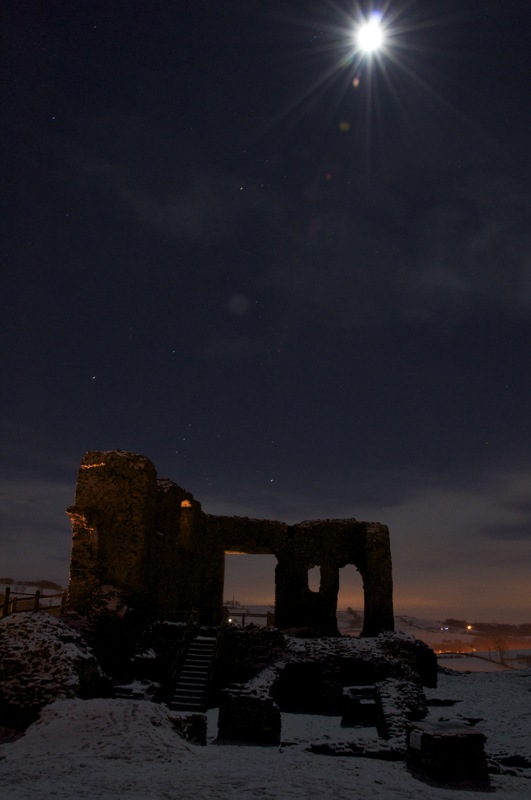 This entry was tagged Fixed tripod, Full moon, Kendal Castle, Moon, Nikon 18-200mm, Nikon D90, Orion, Pleiades. Bookmark the permalink.